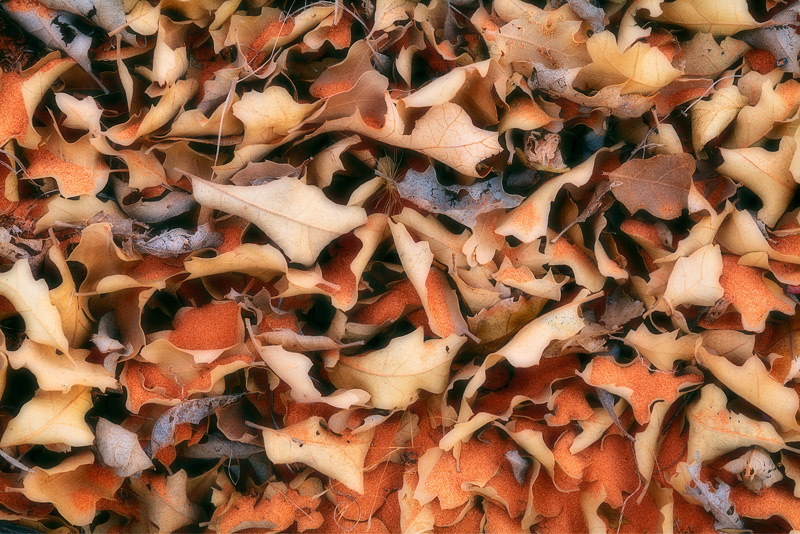 While scouting for compositions in the Horeshoe Canyon district of Canyonlands National Park I discovered this collection of leaves nestled in the corner of some small, orange colored sand dunes. It was an unusual experience to discover this kind of autumn scenery in the beginning of April. Photo © copyright by Michael Greene.